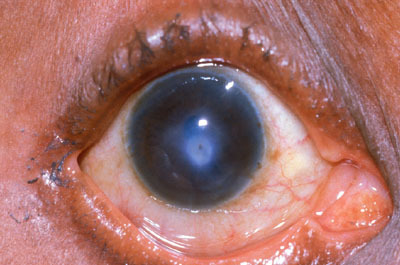 The cornea is the clear window in front of the eye. If it is not clear the patient can’t see. 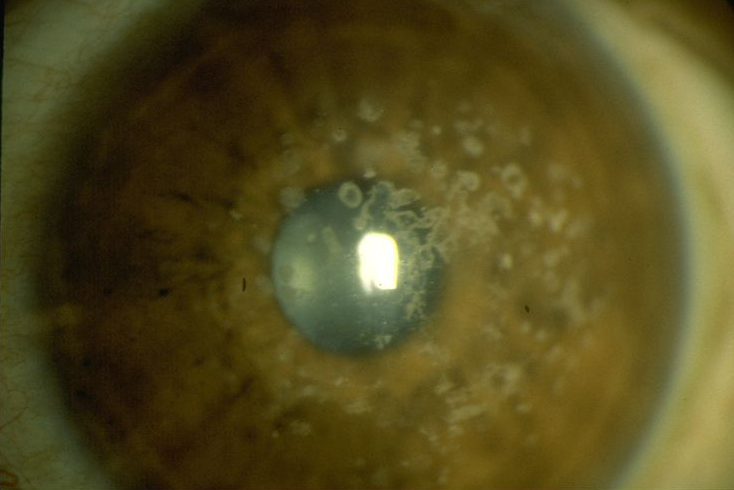 This patient has a corneal ulcer that requires urgent treatment. Dr. Segal has completed additional training to specialize in treating the most challenging corneal diseases. 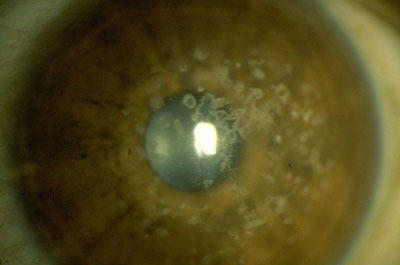 Any damage to the cornea heals as a scar, which can impede vision. 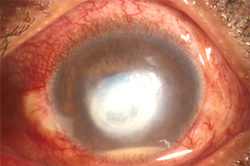 Therefore it is essential to heal a damaged cornea. 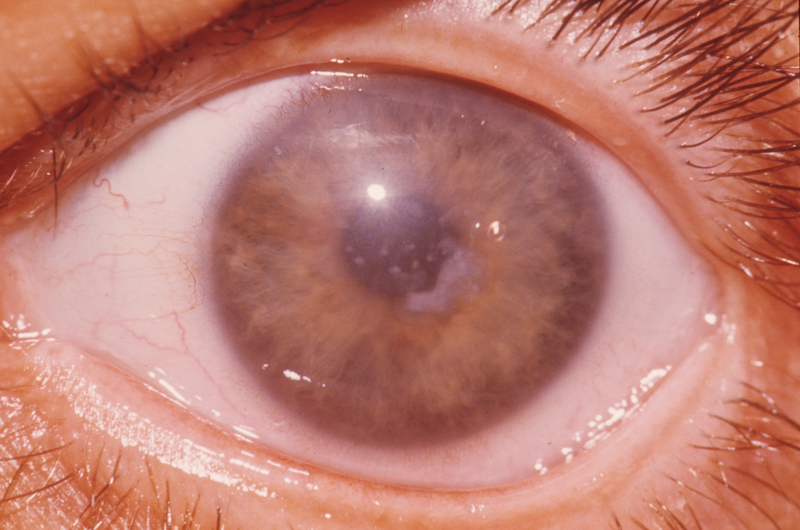 There are many diseases of the cornea that can cause pain and loss of vision. 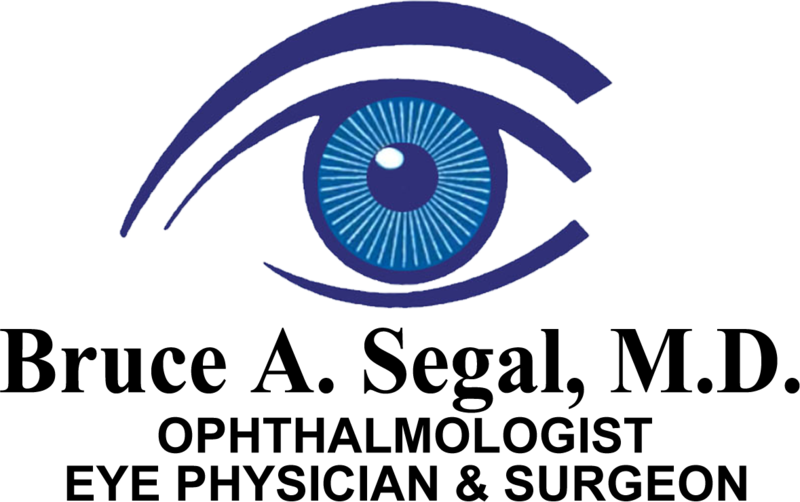 Other ophthalmologists refer corneal disease to Dr. Segal for his expert opinion and treatment.